Hi, we're back with another Me moment. 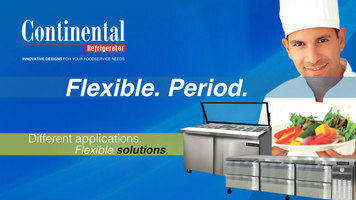 Today we'd like to talk to you about Scoot, multi-purpose lectern. Scoot into your next presentation with a lectern that will give you a performance deserving a standing ovation. This multi-purpose lectern isn't just a great solution for your lectern needs, but it easily folds down the platform to also meet any of your media needs. The shelves are perfect for storing presentation materials or additional media supplies and Scoot is beautifully designed with a unique coal pattern and accented with silver legs. Plus, the lectern is mobile, allowing you to use it across your workspace and it also features two swivel cup holders, so you can have two beverages. Coffee, and coffee with milk sugar. Thank you for joining us for this Me moment. Please join us again to find out how Safco can help you work hard and play harder. Add a multi-purpose lectern from Safco to your office to help make presentations easier than ever. You can store and display many different types of media on this lectern, in addition to just using it to hold materials during a presentation. 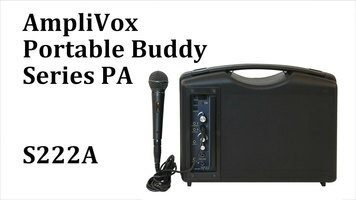 The Amplivox Portable Buddy is the PA system you need for traveling! 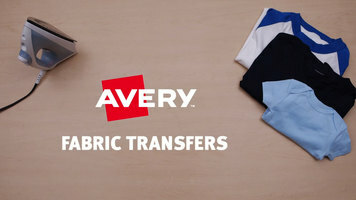 Personalize garments or add business logos to shirts and other fabrics with Avery fabric transfers. In minutes, you can create custom designs and add them to any desired item.